Hey there! Thank you for your interest in my services! I’m currently accepting requests for the Spring & Summer (May – September). Please send your request at least 2 weeks ahead of time so I can plan you into my schedule. Click on the different below to know more about each of my services. The services “Promo” and “Custom Graphics” are currently not available. 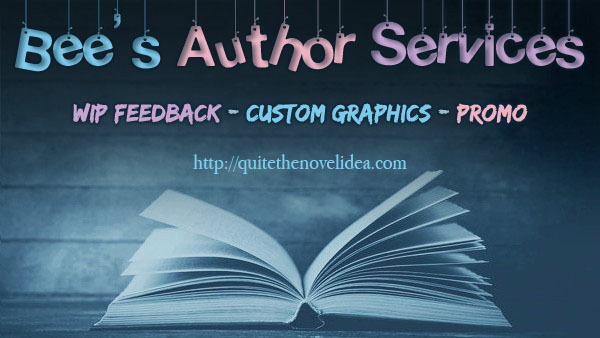 A Beta Reader reads and analyzes your finished manuscript to provide constructive feedback as a reader, not as an editor. They look at various elements like the story, characters, setting, dialogue, consistency, etc in order to give you their objective opinion on what works, what doesn’t and what can be improved. ~ I will read your manuscript within the time frame promised. ~ I will provide my honest and objective feedback about your book. Don’t worry, I’m not mean, just honest! ~ I will also give you my notes on every chapter next to my overall thoughts on your book as a whole. ~ I am a reader and will analyze your book as one. I am not an editor or proofreader. ~ This is between you and me, so I will not publish my feedback unless you want me to. I ask $1 for every 500 words. A manuscript counting 60.000 words, that would be $120. It takes me at least one or two weeks to go through your manuscript, depending on my own schedule. If you need it within a week, a rush fee of $50 will be added to the total price. So what happens once I’ve given you feedback for your draft? Well, for an additional $20 I will re-read your book after you’ve done your revisions, should you wish for more feedback. And, if interested, I can also help promote your book on social media. ALSO, if I’ve read one of your books before, you get a 25% discount! What’s the difference between Beta Reading and this? Beta reading is much simpler. I look at the story, the characters, the writing and evaluate it as a reader and reviewer. But with this, I look over it with a magnifying glass. This, unlike Beta Reading, does involve some editing. I also make notes inside the manuscript and mark the parts that need improvement. ~ I will also give you my notes on every chapter next to my overall thoughts on your book as a whole and my notes throughout the book. I ask $1,25 for every 500 words. A manuscript counting 60.000 words, that would be $150. It takes me at least one or two weeks to go through your manuscript, depending on my own schedule. If you need it within a week, a rush fee of $50 will be added to the total price. So what happens once I’ve given you feedback for your draft? Well, for an additional $30 I will re-read your book after you’ve done your revisions, should you wish for more feedback. And, if interested, I can also help promote your book on social media. ALSO, if I’ve read one of your books before, you get a 25% discount! What in the world is a “plot doctor”, Bee? Excellent question. If you’re a writer, you’re probably familiar with this problem: you have a manuscript and your beta readers all say the writing is good and the story is good, but something is off about it. Something’s missing. And they can’t tell you what. You’ve gone over it a hundred times, but it’s hopeless so you put it in the drawer or even throw it out. That’s where I come in! I will help you figure out what the problem is and how you can fix it. I will help you get this novel back on track. I’m not alone for this one, however. My dear friend & amazing author Lisa Amowitz, as well as my friend Kaye Hart are my consultants for this service should I need a second opinion. Reading is my passion, has been since I was very young. Doing any of these things would not even be a job to me, it’s an extension of my hobby. I have been blogging for 3 years now and over this period of time I have grown as a reader. I am able to read a book objectively and give honest feedback. My blogging experience also made me conscious of what readers like and dislike, what you should avoid and what could make your book unique among all the others out there. Next to that, I’m a writer myself. These two combined give me the perspective you might just be looking for. You can find my reviews here on this blog or on Goodreads. I was lucky enough to come across Bee while looking for a beta for my first novel. I was nervous about someone reading it but Bee gave honest and helpful critiques, and was as equally helpful with telling me everything that worked in the story. Even better, she was open to my questions about more in depth thoughts on specific scenes, characters, and subplots. I certainly look forward to potentially working with her on future projects! This sounds fantastic, I want your help in making my book the best it can be! Awesome! First you should read my review policy, in which you will find the genres I read and which I avoid, to see if your book is the right fit for me. If that’s the case, you can e-mail me at bookaddictbieke (a) hotmail.com. In your e-mail, you should include your book’s title, the blurb, genre, word count and the deadline if there is any. Please put the service you’re requesting in the subject of the e-mail. I will do my best to respond within a week. Feel free to send a follow-up e-mail if I have not responded after that. Do you need a beautiful cover? 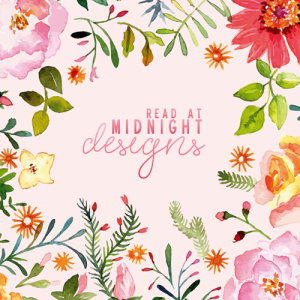 Check out Lisa Amowitz’s design services!